Dash: Three types of dashes vary in length. Figure dash (-), or hyphen, joins words or separates syllables. En-dash (–), or minus sign, indicates a range or a connecting relationship. Em-dash (—), or double dash, indicates an interruption, such as a parenthetical thought or sentence cut short. Slash: Used to emphasize a connecting relationship in place of an en-dash. Parenthesis: Indicates an interruption in the flow of a sentence, though this is becoming an antiquated punctuation as em-dashes or commas are more often used. While em-dashes are being used more and more in writing, figure dashes are not used often enough. 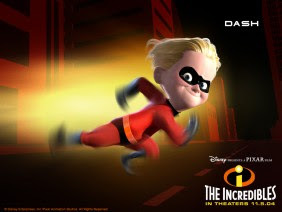 When two modifiers are equally necessary for clarification, they should be joined by a figure dash. For instance, you see "health care reform" or "healthcare reform" used in newspapers and government reports, but technically "health-care reform" is the appropriate structure. However, this does not hold true with adverbs that end in -ly, i.e. you can say either "commonly used words" or "common-used words" but not "commonly-used words." While Figure dashes are used for compound words like "co-author" or "baby-sitter," if you use a compound word in connection with another modifier, you should use an en-dash to connect the modifiers, such as "multi-award–winning artist." "The Bank was a decrepit stone building at the tail end of Houston Street, on the last divide between the gritty East Village and the wolds of the Lower East Side. Once the headquarters of the venerable Van Alen investment and brokerage house, it was an imposing, squat presence, a paradigm of the beuax-arts style, with a classic six-column facade and an intimidating row of 'dentals'—razor-sharp serrations on the pediment's surface. For many years it stood on the corner of Houston and Essex, desolate, empty, and abandoned, until one winter evening when an eye-patch–wearing nightclub promoter chanced upon it after polishing off a hot dog at Katz's Deli. He was looking for a venue to showcase the new music his DJs were spinning—a dark, haunted sound they were calling 'Trance.'"